Volkswagen teases its new electric concept ahead of CES — could it be the new Microbus? Volkswagen has been teasing a modernized version of its iconic hippy bus for years, most notably with 2001’s Microbus concept and the sleek Bulli Concept from 2011. In September, we heard rumors that a new Bus could bow at CES 2016, and with the brand’s announcement of a new electric car debuting at the show, it may be time to break out the lava lamps and incense. 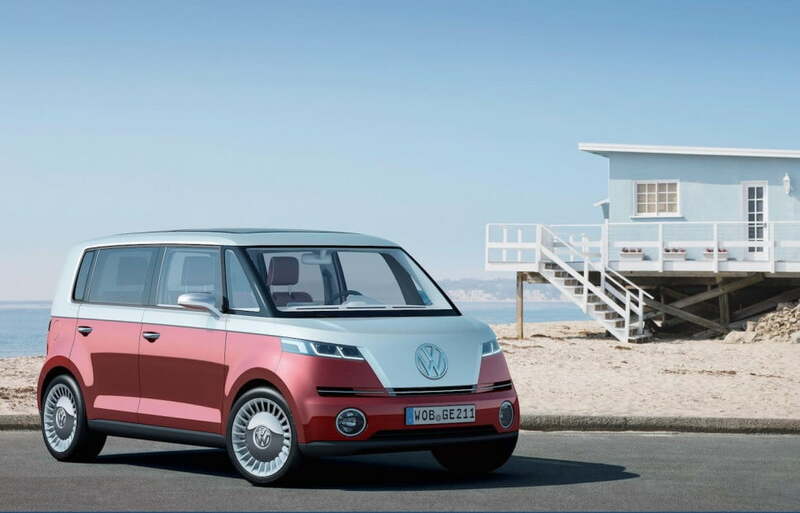 Volkswagen has published a teaser image of the concept ahead of the EV’s unveiling in January, and its boxy shape will propel the rumors of a new Microbus even further. There’s not a lot to go on from the cryptic photo, but the illuminated grill suggest a more modern, almost futuristic, aesthetic. However, a VW spokesman recently told Autocar that a new interpretation of the Bus would have three very important design nods to the old version. The new EV — Microbus or not — will serve as the “starting shot” for VW’s future production strategies, which is clearly inspired by the company’s ongoing Dieselgate scandal. The automaker’s head of passenger cars, Dr. Herbert Diess, will give a keynote address at CES on January 5, with the majority of his speech focusing on how electrification is becoming the new driving force in the automotive community. Earlier this week, VW announced that it had completed an internal investigation into the causes of Dieselgate. The manufacturer claims that a “chain of errors” was responsible for the installation of the emissions-fooling “defeat device” software, which was discovered in 11 million TDI models worldwide. You can read more about the investigation and its findings here.